Mr. Auma has over 17 years of experience in health systems management in both private and public entities. 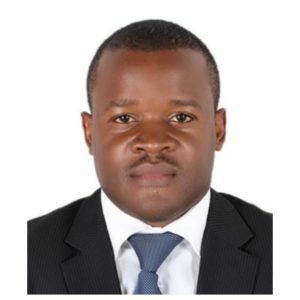 He is a fellow of Health Informatics from University of Nairobi, Institute of Tropical and Infectious Diseases (UNITID), as well as having post graduate qualification in Health Systems Management (KeMU). He is the founder/Managing Editor of The African Journal of Health Information Systems (AJHIS) and reviewer of various International Journals in Emerald network. Mr. Auma has strong operational, systems and health financing background with the ability to strategize and present vision at the C-level in accordance to strategic healthcare objectives. Role-model a detail-driven work ethic by striving to exceed benchmark expectations in every endeavor; he has ability to multi-task and manage projects and teams with varying specialties by focusing on best practices, industry standards, protocols, and security requirements within projects methodologies guidelines. Mr. Auma served on the faculty of Kenya Methodist University, and a super Chipper at the UCLA Anderson School of Management Development Institute (MDI) in Amref Health Africa. He is involved in the development of curriculum and training materials for Health Management Information Systems for various Colleges and Universities in Kenya. Mr. Auma has served and managed USAID/PEPFAR funded programs caring for people living with HIV/AIDS at the University of Washington, Hope Centre for Infectious Diseases in Kenya in various capacities. He has served as Chief Officer for Health and later transferred in the same capacity to Tourism, Sports, Culture and Co-operatives Development and also acted as the Secretary of the Machakos Forensic and Research Centre Board at the County Government of Machakos. Mr. Auma is a champion of Health Information analytics channeled through his longstanding involvement with professionals and he is the founder of Medical Records Institute. He currently also holds position on the Board of Directors of Generation Africa, Board of Management of Machakos Girls High School, Health Solutions Limited and the Chair of Human Resources for Health Committee at the Kenya Healthcare Federation.